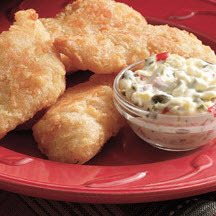 A great recipe for classic tartar sauce. In medium bowl, stir together all ingredients until well combined. Cover and refrigerate if not using immediately. Recipe and photograph courtesy of The Incredible Edible Egg™.